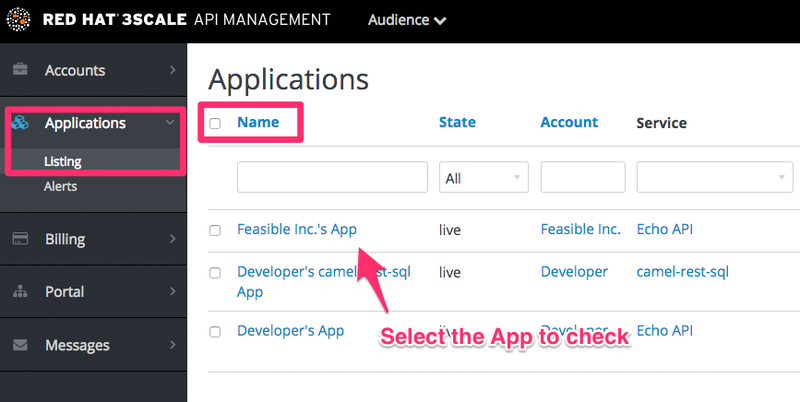 Option 1: Delete an application from the list of all applications for [Your_API_name]. 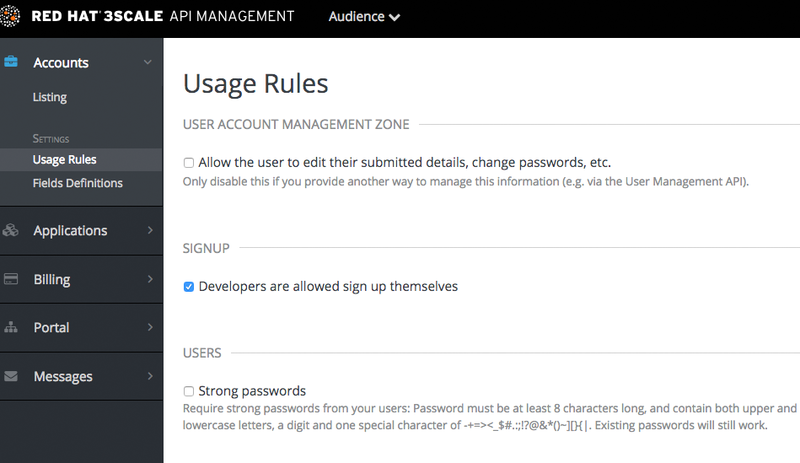 In the Dashboard, click [Your_API_name]. 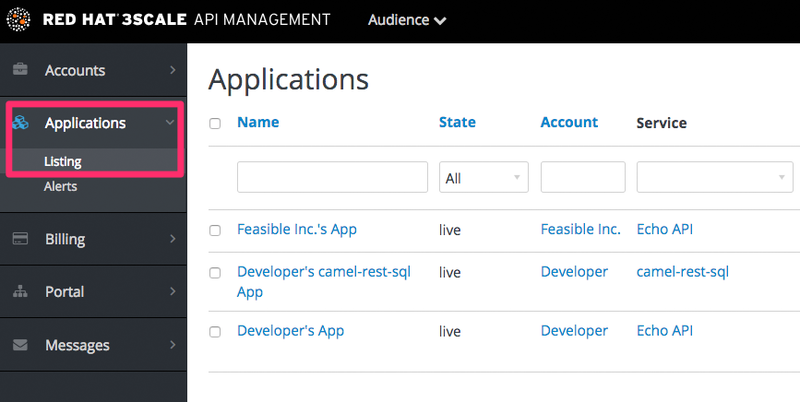 From the left panel on the Overview page, click Applications. You will see a page containing details of the application. Click Edit. To delete the application, click Delete. You will see a confirmation message. Click Ok to confirm the deletion. Option 2: Delete an application based on a specific application plan. In the Admin Portal, click Dashboard. Under Published Application Plans, choose an application. 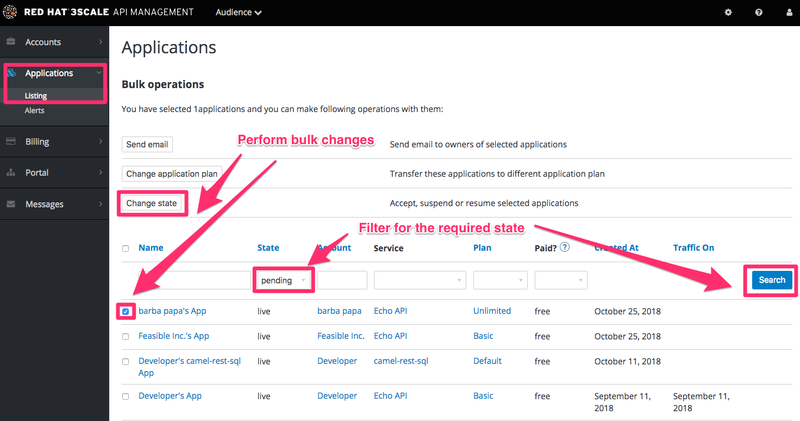 Alternatively, you can also delete an application via 3scale API Docs, with the operation called Application Delete. 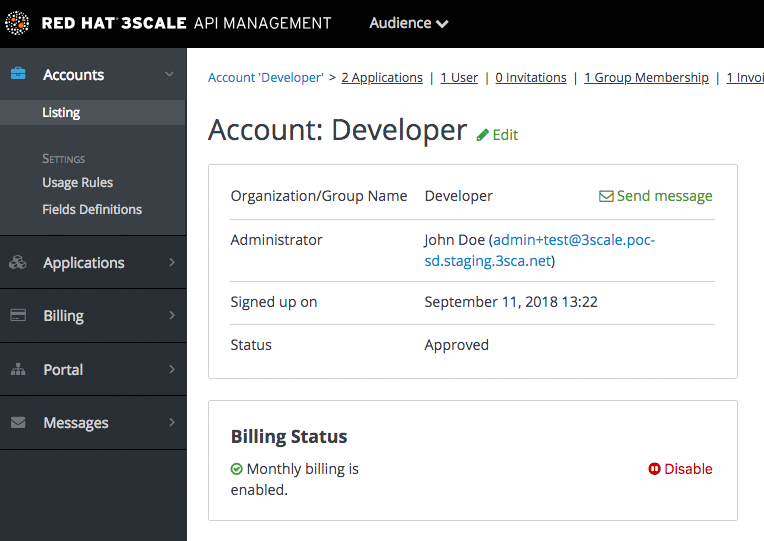 Red Hat 3scale API Management allows multiple independent instances of 3scale accounts to exist on a single on-premises deployment. Accounts operate independently from one another, and cannot share information among themselves. A master administrator monitors and manages the 3scale accounts through the Master Admin Portal and API endpoints. 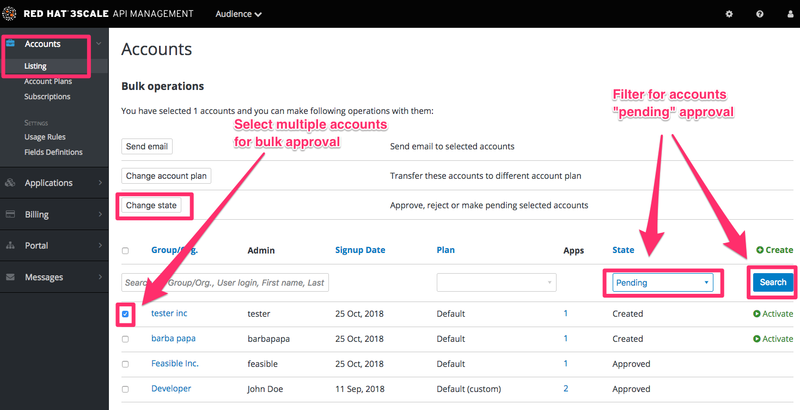 Similar to the standard Admin Portal, the Master Admin Portal contains information about all accounts in a deployment and allows for administration of accounts and users through a unique account page. For details on account administrator operations, refer to the Accounts guide. 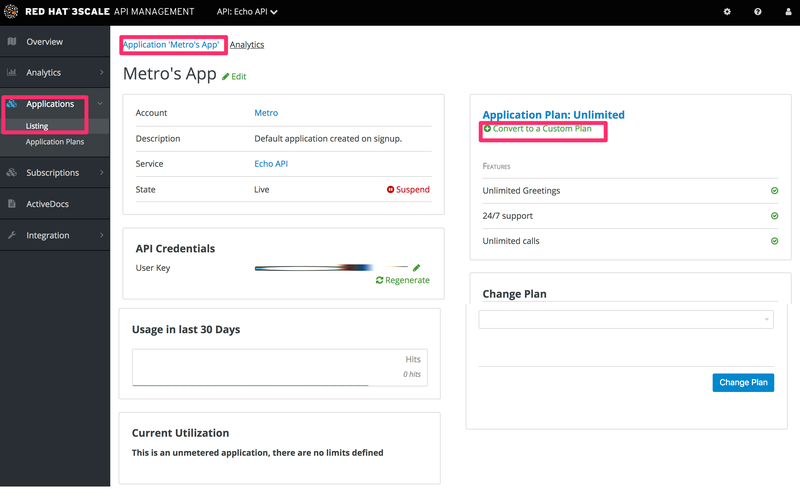 To access the Master Admin Portal, you need to use the credentials and URL specifically defined for the Master Admin Portal during the on-premises installation process. You can identify the Master Admin Portal by the Master flag. Log in to the Master Admin Portal. 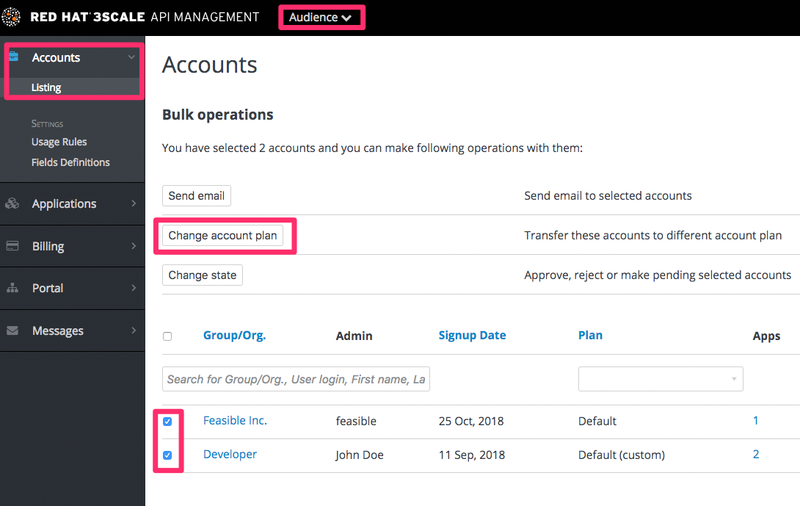 After these steps, Red Hat 3scale creates an account subdomain for your account based on the Organization/Group Name field. Additionally, you can see a page containing the details of the account you created. 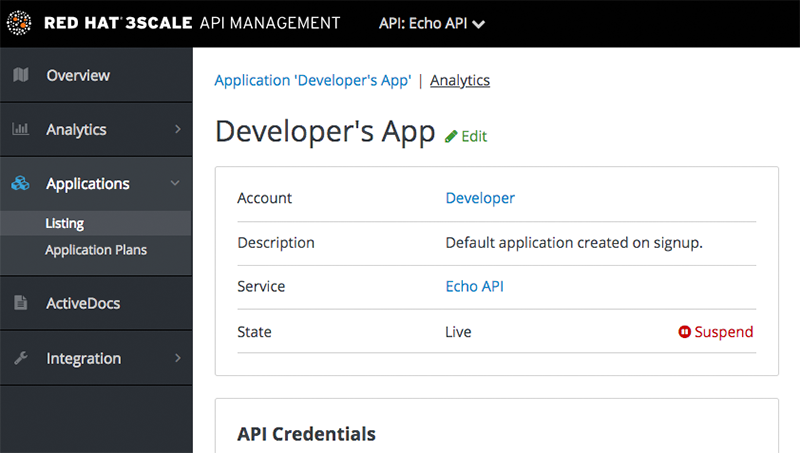 You can manage accounts through the Master Admin Portal or through API calls. Select the group or organization you want to manage. You can manage accounts through the Master Admin API calls. 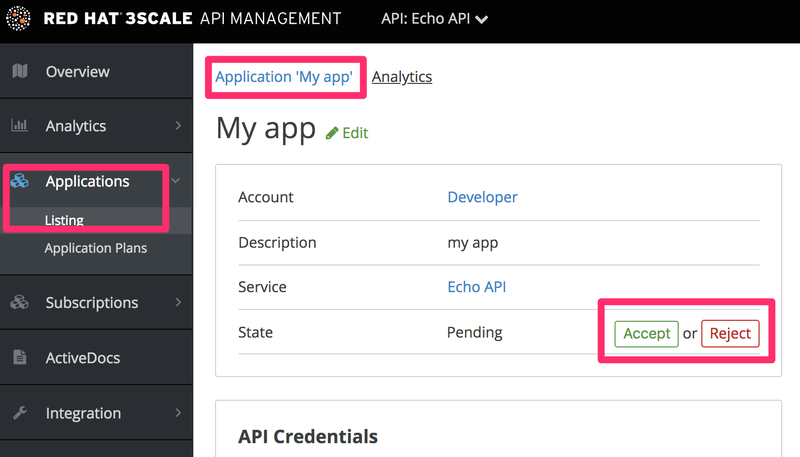 For information on these calls, refer to the Master API section, by clicking the question mark (?) icon located in the upper-right corner of the Master Admin Portal, and then choosing 3scale API Docs. Additional accounts added by the master admin will be be assigned a subdomain based on their names. Users cannot log in to the account. The account can not be edited; but the master can resume the account to the approved status. 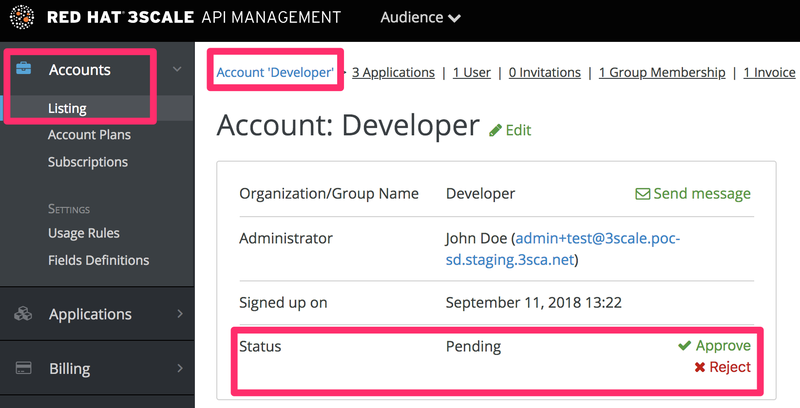 Additionally, the domains of the tenant (admin domain and developer portal) are not available, similar to a real deletion. Log in to your master admin account. To see the list of accounts, navigate to Accounts. Click the account you want to delete. Click Edit, next to the account’s name. In the accounts details page, click the Delete icon. oc rsh -c system-master "$(oc get pods --selector deploymentconfig=system-app -o name)"
Line 1: finds the account and saves it in the variable tenant. Line 2: schedules the account for deletion. This is only necessary if you have not scheduled the deletion through the Admin Portal. Line 3: deletes the tenant in a background process only if you have scheduled the account for deletion or it is suspended. Deletion will not proceed if the account is in approved status. Resuming a tenant account implies restoring an account scheduled for deletion. You can resume a tenant account up to 15 days after you have scheduled it for deletion. All tokens that should be valid are valid again. Under the account details, click Resume. Click Ok to confirm you want to resume the account.